Sarai has big dreams: She’s going to be a network anchor and she’s going to change the world. So far, she’s well on her way to achieving both. 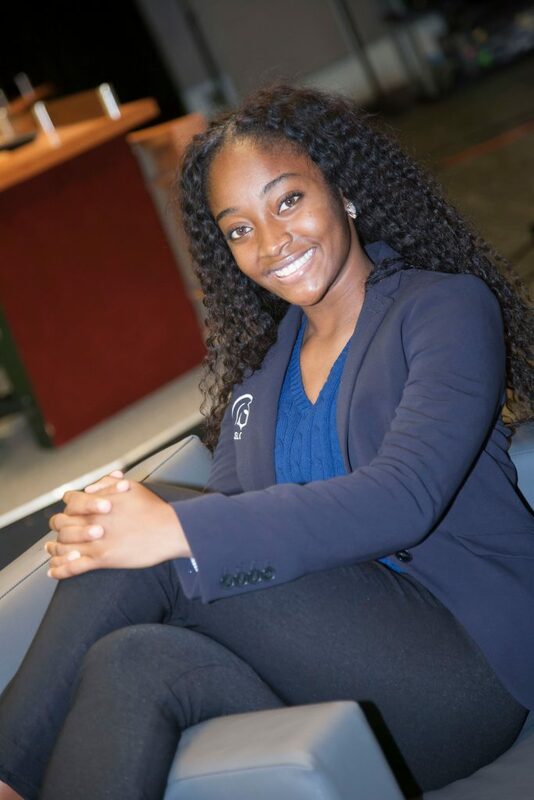 As the morning anchor for her high school’s news station, Sarai’s contagious smile and natural talent shine as she builds her skillset – and experience – to work toward her career goals. After she graduates, she’ll be the first person in her family to attend college. But Sarai’s determination extends far beyond personal goals. She’s driven to make a difference – to be the change she wants to see in the world. And she credits the support and services she’s received through Evans High School, A Community School for building her confidence and courage to step out of her comfort zone to make an impact. Once bullied because of her appearance and heritage, Sarai found an opportunity when she arrived at the community school – an opportunity to build family and acceptance. The founder of the school’s first Creole Club, Sarai envisions an active service-oriented group coming together to celebrate shared culture, to educate others and to serve the community – and the world. “If I want to see change, I have to be part of the change. I have to be part of the movement,” Sarai shares. Perhaps that’s why she built her Junior Class President campaign around service, and why she’s so committed to her role as a member of the Student Leadership Council.